Checking the LA County Sheriff's webside, the following defendants in this case have had their bail reduced or have been bonded out from custody. Defendant Name / Previous Bail Bond / New Bail Bond Amt. UPDATE 9/29 1:24 pm LA Times story with grand jury testimony excerpts. This case consists of two indictments (BA425397 & BA435339) that were issued by a grand jury against 15 defendants. The defendants are charged with a massive insurance fraud and patient conspiracy scam, allegedly orchestrated by Dr. Munir Uwaydah. Two of the 15 defendants, Uwaydah and Wendee Luke, are not in US custody. Uwaydah fled the US in June 2010, soon after Kelly Soo Park was arrested for murder. HERE is the LA County DA's press release on the case. It will give T&T readers some general background information. In March 2008, Juliana Redding, 21, an aspiring model was beaten and strangled to death in her Santa Monica apartment. Two years later, Kelly Soo Park was arrested and charged with Redding's murder. T&T covered Park's entire murder trial. Park was Dr. Uwaydah's former officer manager and personal assistant. She was acquitted of 187 felony murder in June 2013. Although this is not the typical case that T&T covers, I decided to attend this hearing and possibly cover the case because many T&T readers have an interest in Kelly Soo Park. I learned from the LA County Sheriff's Inmate Locator Website that Park's next appearance would be in Dept. 109, Kathleen Kennedy's courtroom. It's not that surprising that the Superior Court assigned this complicated case to Judge Kennedy. The City of Bell corruption scandal case was held in her courtroom. In that case there were seven defendants. It's also the same courtroom, the same judge who presided over Park's murder trial. Unfortunately, I could not stay for the entire hearing. With so many defendants, the hearing went into the afternoon session. When I arrived on the 9th floor, many of Kelly Soo Park’s friends and relatives are already here. I see all the familiar faces from her murder trial. Her sister Kim. Her mother. Her aunt and other friends and relatives. Park’s attorney Mark Kassabian is at the center of the hall. I don’t see George Buehler. There are attorneys that are here greeting people in the hallway. Most of the bench seats at this end of the hall are filled. There may be people from other courtrooms, but it’s too soon to tell. More of Park's friends arrive and exchange hugs and kisses. There are also a lot of suited people in the hallway. They could be counsel or bail bondsmen. Attorneys are talking to people from the general public. Some people appear to be lost with the large amount of people in the hall. I have a feeling the courtroom will get packed quickly. I plan to take a seat as soon as the courtroom opens. I observe Kassabian go over to speak to Kelly’s aunt. I get up from my seat to look down the hallway but don’t see Tom Chronister, Park's husband. He must not have arrived yet. More hugs are exchanged among Kelly's relatives and new arrivals. A couple brought a very young child. No more than a year old. I'm wondering if they are here for this case. A tall balding man arrives. I ask myself, Is that the husband, the former Oxnard Police Commander? If it is, he looks a bit different since Park was acquitted of the murder charge. Interesting that Kassabian spoke to Kelly's aunt, and not Park's husband, but they could have spoken earlier, by phone. More arrivals. More hugs being exchanged. I don’t think all these people will fit in the courtroom. I’m surprised there are no reporters here. I wonder if I'm the only one who will show up. I can't believe that. More people, more handshakes being exchanged. Down the hallway comes attorney Anthony Brooklier, reporter Pat La Lama's husband. He must be representing one of the defendants. He came and shook a man’s hand who was wearing sunglasses. The sunglasses wearing man could be a family member, or a bail bondsman. I also see the very tall Josh Herman. Herman bonded Park out during her murder trial. Marissa Gerber from the LA Times arrives with a photographer. She tries the door, but it's still locked. With 13 defendants appearing today (two defendants are not presently in the US) I’m not surprised so many people are here. Uwaydah is supposedly in custody in Germany. Wendee Luke is believed to be in Estonia. The US does have extradition treaties with both countries. After awhile, I get up from my seat to stand by Marissa near the door so I can get my favorite seat, right by the power outlet. The friends and family of the defendants swarm into the courtroom to grab a seat on the three long benches, since the first row is marked off limits. CBS 48 Hours producer Greg Fisher is here and he takes the empty seat to my right. The bench rows quickly fill up. I'd say, 70% of these people are here for Park. Inside the well of the court, there are so many attorneys it looks like standing room only. The bailiff tells people looking for a seat, 'If there are no seats for you you must step outside, unless you are a part of this case.' Every row except the front row is packed, which is blocked off. Former DDA Alan Jackson arrives. It's my understanding Jackson is representing Terry Luke. The DA's office has filed a conflict of interest motion to disqualify the Werksman-Jackson firm from representing defendants. Jackson's partner, Mark Werksman is representing Tony Folgar, but Werksman is not here today. Someone else from the firm is standing in for him. Jackson comes to the back of the courtroom where his support staff are seated and we exchange hellos. More people arrive and the bailiffs try to pack the courtroom. The jury box is filled with attorneys. The gallery has counsel staff and bail bondsmen interspersed with the general public. A woman in the row of chairs set up behind the bailiff's box turns around and shakes the hand of the man's sitting to my left. She says, "Hi, I’m Wendy. I’m the sister-in-law." I don't know who she is related to, but the man beside me is with Jackson's firm. A defendant is brought into court in a wheelchair. He's brought in through the door that goes back to the jury room area. He is wheeled across the well and back into the sheriff's custody area. I later find out that this is 80 year old Dr. David Johnson. Jane Robison from the DA’s office arrives and tries to find a seat. The LA Times still photographer is in the back corner. They may put the cameraman in the corner by the jury box. It's a better angle to get photos of the defendants. The courtroom is beginning to look like a big circus. It is worse than a sardine can in here. The bailiff's are now letting people sit in the first bench row. They are trying to jam more people into the courtroom. Still, I would say the majority of the people here are for Park. It's 9:02 am. The court states, "We have this multi-defendant case on calendar. ... Defendants in custody are ..... Logistically, it will be complicated getting everyone in here at one time." Judge Kennedy mentions something about a bail review report by defendants. However, because at the time they were requested, it was stated that none of the defendants wanted a personal interview at that point. Without a personal interview, to verify background [information?] their recommendation [for bail reduction] would be negative. Judge Kennedy continues. "So then I believe Judge Brandlin [Dept. 100, master calendar court] contacted many of the lawyers here. ... Many consented to an interview. ... I don't know that we've gotten any reports [yet]." Judge Kennedy speaks to her clerk for a moment and then addresses the parties again. "Although we don't have any at the moment we may get some by 10 o'clock or sooner. ... And none of you have seen what they say. ... I know that many of you have filed various motions today. [Some?] came by fax yesterday. ... I don't know what everyone's intention is with regards to bail motions today or 1275 hearings. ... I don't know to what extent you've exchanged documents with the DA. ... I do know we've already had some information ... with most of you ... I haven't seen you before. I don't know what communication you've had with the DA and who is ready to do what." If there are any one of the defendants ... who is represented ... in male in lockup here, that know what you want to do or if you know that you are not ready to handle bail or 1275 ... that would be the easiest to handle first of all. ... There are so many of you, ... and I don't know who all of you are. ... If any defense attorney speaks ... [say] your name and the defendant you represent." A few of the counsel start to speak, one by one. One attorney just met with his client on Tuesday. Now he's on the service list. Defendant Ron Case's attorney is from the Alternate Public Defender's Office. The next attorney who speaks is for [Dr.] David Johnson. Deputy Attorney General Richard Marino for the California Medical Board. He filed a motion in respect to David Johnson. Counsel for Paul Turley asks to approach off the record. Judge Kennedy has a sidebar with Turley's counsel. The DAG will possibly have additional charges ... or he might just be here to monitor the case. Louis Shapiro representing the Nelson family. He asks the gallery if anyone is here from the Nelson family. Mr. Shapiro missed the last hearing since it was on Yom Kippur. The sidebar is still on. There are people waiting in the ante chamber for an empty seat to open up. I see hard working Terri Keith from City News Service peeking through the window from the ante chamber. She can't get a seat. People are trying to leave, have their seat saved for them and come back in. The bailiff's appear to be getting frustrated with the people coming and going at will, and trying to find seats for people related to the proceedings. Then something happens. A slew of attorneys from the well, file out of the courtroom, one behind the other like a marching line. I have no idea where they were headed. My best guess is, they were ordered to another courtroom to speak with the judge off the record. Now that Judge Kennedy is off the bench, the courtroom is boisterous and people are coming and going again. There are some attorneys back inside the courtroom, and there are several groups of conversation, all going on at once. There are quite a few bail bondsmen in the gallery. The bailiffs are having a hard time keeping up with the phones going off by the general public. Phones are a big issue in Judge Kennedy's courtroom. If you are an attorney, you can use your phone. Everyone else, the phone must be completely off and out of sight. No exceptions. Reporters can use laptops, iPads, but they cannot transmit while inside the courtroom. Alan Jackson comes over to ask the gentleman seated next to me for the "177 pages." The man hands Jackson a very thick three ring binder. Then Jackson tells the man to stop speaking. He tells him, "Every other person you don't know, is a reporter ... and is writing down everything you say." I smile and chuckle a bit. After Jackson takes the binder I say to his staff member, "That's not really true. It's just that I know Alan." The bailiff tells the gallery to quiet down again. I hear one of the court staff say to counsel, 'This is a bad day for the court." It could be, they were rejecting a tentative date for everyone to return. It appears they are trying to find a court date that will work for all the counsel present. They might recess the jury trial that's currently in progress and this case would come in on a specific date. The bailiff asks everyone to be seated. The bailiff announces, "Counsel, the judge is coming out." Judge Kennedy takes the bench and tells the room. "I've conferred with some counsel. ... I'm going to speak to everyone else as to the possible date[s?] and how to proceed." There is a bit of discussion in the well with the court. Several attorneys still need to speak to their clients. One of the attorneys speaks for the group and informs the court that one attorney has some issues with the general concept and objects to waiving time. They were discussing October 15 as a date to return without time waivers. The court responds, "We can do that ... then you can discuss with your clients if they want to waive time. ... One other thing. I spoke with counsel in order to review rights in respect to 995 [filings] with the time then we can supplement it with any points and authorities, to look over the materials and work with that. ... What I mentioned to you and all counsel, understand ... in regard to 995 ... I don't want to read the grand jury transcripts so may times. ... [I] want the 995's filed together. The grand jury transcript is formidable and exhibits are even more formidable." "With regard to anyone who does not want to proceed with a bail motion today ... we can handle those cases. ... In fact, if not taking time waivers [we] don’t need the defendants out. ... But they have family here so we could bring them out." They will deal with male defendants first. Defense for [Peter] Nelson, he's prepared to waive. The Deputy Attorney General representing the medical board, mentions something but I miss it. Defense for Jeff Stevens is prepared for a bail motion today. The court asks, "Who does not need to do anything but prepared to come back on October 15?" There is one defendant with two attorneys, one from the alternate public defender's office (APD) and then there is a personal attorney for the same client wanting to handle the bail motion. I miss what this is all about. the APD counsel objects to the other counsel. [Attorney] Mark Allen standing in for Mark Werksman. Continue for bail hearing for another date. The court asks, "Anyone else besides those two? ... Nelson and Folgar, we can handle those first. ... Counsel ready?" Allen, counsel for Folgar, is asking for a different date for a bail review. October 2. So each of these defendants, might have different bail review dates. October 2 is changed to October 5. Allen also asks to be heard on that date regarding the people's motion to disqualify. The second client, Nelson, bail review on October 23. Ron Case will be next. Case is brought out into the courtroom. He looks significantly aged from the photos I've seen of him online. The request is for a bail hearing on October 9 and pretrial on 15. The court asks counsel in the well, "Is anyone else ready to handle their matter?" Judge Kennedy then asks her bailiff who are all the people in lockup. The bailiff mentions Turley. The court responds that his wife must be brought out at the same time. DDA Lisa Kassabian enters and waits for her husband, Alan Jackson. We exchange a wave hello. I believe the court asks again, "Anyone else whose defendant is in lock up who is ready to handle their matter now?" Someone in the well responds that they are still working on the Luke matter. It's decided that Luke will be handled at 1:30 pm. Johnson and Stevens are still in lockup. Both of those will take some time. Alan Jackson and his support staff leave. The bail motion on Stevens is next. DDA's Cathy Chon and Dayan Mathai for the people. DDA Mathai outlines the fraud and Steven's participation. "... participated by feeding the engine of the fraud, by providing patients and making recommendations to Frontline personnel as to how a patient can be treated. ... it's all part and parcel of the scheme. ... Stevens participated in a bank takeover scheme. ... Doing that, could control how the money was moved." The court asks how the 18.5 million bail was calculated. The people respond. At the time that the indictment came down, the bail schedule is actually higher, [so the defendant's bail] is actually lower than the presumptive bail should be. ... By being set at that, the people are not asking to raise it to the presumptive bail because the grand jury just heard evidence from 21 individual patients that were victimized by these co-conspirators. ... Separate counts by separate victims on separate dates. ... 21 people were harmed by that in that they [performed] fraudulent surgeries ... [patients] that were cut open improperly by this defendant's actions. ... At the time that the indictment came down, the bail schedule is actually higher; [the bail] is actually lower than the presumptive bail should be. Because the grand jury heard 21 incidents, we are in no way saying it's limited to that. ... This was rampant. ... There were maybe hundreds of so called surgeries, because these are not what the patients intended and not what they signed up for. ... We selected 21 names for extensive grand jury, but we believe a vast number of people were harmed by this group. ... And because they were aggregated, true bail should have been [miss the amount]. The conspiracy continues to this day. We've attached an insurance bill received, which shows on September 15, last Tuesday, the day that Mr. Stevens was in court, and most of these defendants in court, including Dr. David Johnson. An insurance bill from that date, that said he performed medical procedures on that date on the fifteenth. And it certified on the date that the date of service was that date and that's one bill. ... Even when they are in jail, they bill. These patients were never prescribed those medications. ... When you control the pharmacy and control the clinic and the patients were receiving medication ... were never prescribed or given instructions, we don't think we're being dramatic when we say there is real harm to the communities. ... The treatment of these patients and this continues to this day. ... The shell companies are still in existence. ... There are 15 names in this case. ... About another dozen names that have access to these accounts. ... We know Uwaydah instigated ... [and is a flight risk]. Judge Kennedy responds a bit forcefully, "Not only is he a flight risk, he fled!" The DDA responds, "That's right. He fled through Mexico, not LAX. ... We are concerned to potential flight risk and the conduct that's been portrayed. Defense attorney Moss argues for his client. "Your honor, these arguments are against Uwaydah. ... But this person is entitled to reasonable bail." I can no longer hear the defense counsel. There's so much noise in the courtroom. Judge Kennedy states, "With regard to bail, I do have to assume the charges are true. I will reduce to 10 million and the rest [remaining?]." Moss states they will challenge that. Judge Kennedy responds, "For now, I have to assume the evidence is true. I think that 10 million is enough. 1275." The defendant is remanded. Return date is October 15. Now the court is asking about Paul and Maria Turley. Over on my right, a bail bondsman is chatting about how the bonding laws have changed. The Turleys are brought out. Defense filed a motion to ask the court to set bail over until Tuesday morning, Sept. 29. The court asks counsel how long they will need because she is in trial. Counsel responds they will need a short amount of time. After that, the next return date is October 15. Both Turleys need to sign a document, that needs to be notarized for guardianship of their minor child. Defense has an individual in court [in the gallery] to get that done. After that's taken care of, the defendants will be remanded. The notary gets out of her seat, enters the well and notarizes the signatures of the defendants. The next thing that is discussed is a protective order. The court states there was a disagreement [among counsel?] about some of the terms, at least at the present time. The protective order was phrased with the caveat that there would be further litigation and discussion in the future .... and the issue of revealing, ... certain information that .... it was phrased they were having to notify the DA .... and that we would let the DA know we had applied to the court ... and revisit it amongst ourselves and [have?] a solution next time. The people respond. The protective order does actually require ... the order that was drafted today .... any attorney of [involvement] or working directly on the case ... shall not share or produce .... will not share information without permission from the court. There's so much going on in the gallery, it's so noisy I can't follow what is being discussed in the well. I hear something to the effect, If the fraud is still going on today, they can claim problems in releasing discovery, but I don't know who says it. The next defendant, David Johnson is brought out in his wheelchair. And this is as far as I got with the hearing. I had to leave early. Mr. Sprocket had a doctor's appointment and I didn't want to miss that. It's been 16 months since his heart attack and this was an important check up. Thankfully, he's still doing very well. I was able to get an update about Park's hearing. After Park was brought out, she often looked back at friends and family in the gallery. Marissa Gerber's article in The LA Times has a photo of Park and states Park wept. Sources tell me that in the gallery, Park's mother Irene and her sister Kim cried as they left the courtroom after Park's hearing. Park returns on October 6 for [presumably] a bail motion. All the defendants in custody will return to court on October 15. However, some defendants will be returning sooner, most likely for bail motions. 09/25/15 LA Times - Judge calls operations by non-surgeon "horrible"
Lauren Sarene Key, 4, murdered 11/8/2000. Photo Copyright © Sarah Key-Marer, all rights reserved. UPDATE 9/27: Correction. Previous version had Sarah Key-Marer approaching Patty Brown and asking Patty Brown a question. Mr. Sprocket had a project in Long Beach, so he dropped me off at the downtown courthouse. As usual, he was running late. I was afraid I wouldn’t get on the 9th floor of the downtown criminal justice center until after 8:30 am. I make it onto the 9th floor with a few minutes to spare. At the end of the hallway I see Sarah, Lauren’s mother, Sarah’s best friend, Detective Jeff Leslie, DDA Craig Hum and defense attorney Aron Laub. I greet Sarah and give her and her friend a hug. Sarah’s husband Greg and her stepson are not here yet. There are several media people here and cameras. Marisa Gerber from the LA Times, Terri Keith with City News, Miriam Hernandez with local ABC and Randy Paige with local CBS. The courtroom is opened and the bailiff (one of my favorites) lets the pool cameras inside to set up in the jury box. A few moments later, the media files in. I don’t see Patty Brown, the defendant’s wife or anyone else from his family. At the end of the first row, right inside the well, the podium is set up. The bailiff explains to the family members where they will stand to give their victim impact statements. Judge Lomeli’s kind court reporter comes out from the back rooms. There are very few people here from the general public. There is a male juror from the second trial, and another female juror, I believe from the third trial. There are four reporters to my left, Miriam to my right and next to her Terri Keith. Kathy from the court's PIO is here. There are last minute preparations. In the well of the court, there are several extra tables set up for a large number of three ring binders, many of them five inches thick. One of the reporters mentions that it has to do with Judge Lomeli’s case in trial, and defendant Dr. Lisa Tseng. From what I understand, each juror gets three of these thick binders. Now the bailiff is giving the admonition to the gallery to maintain their composure during sentencing. If they can’t maintain their composure, they will be escorted out. The video camera and still photographers are set up in the jury box. KFI’s Shannon Farren is in the third row. DDA Hum and Mr. Laub are back in chambers with Judge Lomeli. There are a few people in the gallery sitting on the benches behind the bailiff’s desk, but they could just be staff from the DA’s office or other people who work in the building. Along with Judge Lomeli’s bailiff, there are four additional deputies in the courtroom to help maintain order. One of the deputies is a Sargent. Patty Brown still hasn’t arrived yet. I’m not aware of any other members of Brown’s family in the gallery. Detective Leslie is chatting with the Sargent deputy. Seated at the prosecution table, I see Detective Leslie has a very colorful pair of striped socks on. His socks put a smile on my face for a short moment. Brown is brought out. 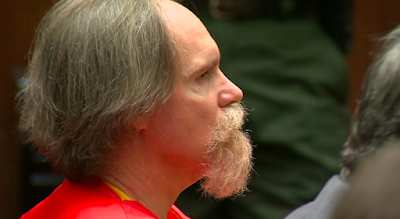 His goatee and mustache have grown out and his hair is touching the jail jumpsuit. The court goes on the record and asks the parties to state their appearances. Judge Lomeli addresses the court, then Mr. Laub. “We’re here for sentencing. Before I get to the actual sentence, .... defense ... [does] the defendant wish to be heard?” Mr. Laub responds, No. The people have several victim impact statements. DDA Hum calls Sarah Key-Marer to the podium. On behalf of myself and my family, thanks to Detective Leslie and Craig Hum for their dedication and hard work for the last [fifteen?] years, and the court and jury members through all three trials. My heart felt appreciation is given to the various witnesses, some who didn’t know Lauren, to recount their parts in her short life. I thank my friends and family who encouraged me over these years and fought hard for justice and bring the truth to light for Lauren. As painful as this is for me to read, and do this for myself, and what is in my heart for the last 15 years, there comes a point in your life ... that letting go is the best option. [I’m grateful?] for this opportunity to find these unspoken words. My family and I are relieved that we can now have a long awaited peace now that the trial is ended ... and know what Lauren was to us without reliving all the tragic circumstances. I’m here to be Lauren’s voice and to [share?] who she was, ... and the suffering she endured in her short life. It didn’t need to end this way for her or for us. Considerations and [accomodations?] could have been made if Mr. Brown so wished. It would have been so simple if he was willing to make [some?] changes ... taking part in the reality that she was part of both of our lives. She was caught up in a conflict between Mr. Brown and the happy state of our family. ... This isn’t any way that any child should have to live. ... We watched the sparkle fade in the last months of her life. ... She tried to understand. ... None of it made sense to her. ... She didn’t deserve to be rejected by anyone especially her own flesh and blood. She just wanted to be loved no matter what [?] differences are. As time went on, it became hard to console her worries. Her smile faded each time Mr. Brown entered her life. She became withdrawn and became so sad. 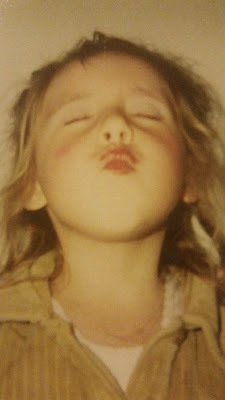 The happy child that I knew was fading. The impact on my life has been so [hard?] to explain. My heart is broken from losing the one thing that I treasured [the most]. This all took a toll on me. It created emotional pain and physical sickness that manifested in advanced stage cancer. My family also suffered. We are all so broken without her and the dreams that we had for Lauren are taken. I imagined she would have impacted the world with her beautiful personality, her kind-hearted spirit and her great love of people. I shall miss the special times we could have had ... grade school performances, graduation ... and a betrothal of her own. But more than that, ... I will miss the warmth of her skin, her crystal blue eyes, her gentleness, her loving nature that filled everyone she knew with so much joy. She thought that she would catch a fairy someday and keep it in her pocket, a friend to have to tell all her secrets and things she struggled with. It was a comfort to her in a scary confusing situation. She feared Mr. Brown and didn’t tell us ... and protected us ... in spite of the agony he caused her. My faith in God reassures me I will be reunited with her again. This allows me a future beyond the pain. I know she waits for us in heaven to be with her again. I know ... know she’s free from the painful turmoil ... and will be protected from the turmoil and is at peace. I thank God for protecting me from [revenge?] and his grace has allowed me this freedom. She did not show any hatred towards the people that caused her pain. I tried to believe Mr. Brown’s accounts of that day were true and that it was an awful accident. I wrestled with this over and over. It would have been easier to accept. It took this time to come to the truth and justice prevailed. I’ve come to terms with the verdict. It’s not only my family, but Mr. Brown’s family. ... It affected us all. I have learned that the way to heal is forgiveness. It releases me and allows God to be the ultimate judge. It has been my wish that Mr. Brown take responsibility for her death. I wish him no harm. I have some [relief?] from the court proceedings and the freedom to speak out [now?]. Mr. Brown, you’ll never take her memory from us. Sarah’s statement was three or four typed pages, single spaced. Words cannot fully express the pain and agony that we experienced. He took the life of a human being with no regard for the effect that it would have on others. ... There would be no more birthday parties or holiday celebrations. ... No academic celebrations, or a potential wedding. ... Lauren has been robbed from the opportunity to experience all that life awards. ... All these things are forever gone. Our family is broken. The effect on our family has been devastating. ... We had to endure 15 years of emotion, turmoil, court proceedings, ... three jury verdicts. The pain of having to relive and the grief of such a horrendous act brought our grief to perpetuity. ... How do we displace the [anger?] that will not bring us peace and healing. Fortunately we have a loving God. We are called to forgive. [? of guilt ... I cannot say?] All these years since he selfishly murdered her, our little girl. I pray that some day, Mr. Brown will repent and ask his creator for mercy and grace. It is my belief that Cameron can be forgiven ... he must fully face the consequences of his actions. Greg extends his gratitude to the court. He thanks everyone for Lauren. The people call Josh Marer [Lauren’s stepbrother]. I remember when I met Lauren. I was six and it was past her first birthday. My parents would fall in love and I would be her big brother. We even had our beds pushed next to the wall so we could pray together. Her personality would brighten up the room. She would dance, sing and tell jokes. She would draw everyone in. She enjoyed making people happy. She had a fascinating imagination and she loved playing pretend. ... She would have me play, too. She was never angry or sad until she met Cameron Brown. She knew my dad was not her father. It began with Lauren coming home from visits being agitated and upset. ...Afterwards ... she would come home crying and scared. Before, she would open up to me because I was her big brother. After [Cameron Brown?] she seemed distant, confused and angry. Things I had never seen in Lauren. I wanted the Lauren I knew back. It hurt me that she was hurting inside. Josh mentions the impact Lauren had on his life. I was shocked. I asked her why and she [wouldn’t? couldn’t?] tell me. I told her to go to bed and she would feel better in the morning. I told Sarah. Sarah said she was going through a lot. I never thought that after she went to school ... I never thought I would never see her again. I was ten. My father worked more and more to drown himself in his work. I took it out on Sarah. How many times I would close my eyes ... and that it would all go away like a bad dream. ... I had problems in school and ran away. I became addicted to drugs. I wanted to be with my sister again. ... I thought I could [have done?] more [to save her?]. I beat myself up for many years that God had taken her and not me. I was too young to know who I was and how I would fit in. I thought I was a [puzzle piece?]. I tried .... I turned to drugs. I went in and out of rehab and jail. Until ... Lauren had become my guardian angel. I got off drugs and free from the chains that put me down. I have a wife and child that I knew Lauren would want for me. There’s not a day that goes by that I don’t wonder what she would be like today. I know she watches and protects me and I’m truly grateful. I’m not as forgiving for Lauren as the rest of my family. The lives that he damaged [tricked down?] like a stone. Our family today is closer and stronger [than?] ever. Josh then thanks the district attorney, Detective Leslie and the witnesses and the friends and family that kept by his side. Sarah [is] my best friend for over 20 years. She is my sister. She is Auntie Sarah to my children. ... During Sarah’s pregnancy, I listened in shock to what she was going through. ... Sarah had a tremendous faith in God. It was difficult to watch. [After Lauren was born] it was easy to fall in love with this baby. My husband knew her decision to be a single mother. He reached out to her ... to be Lauren’s godparents. 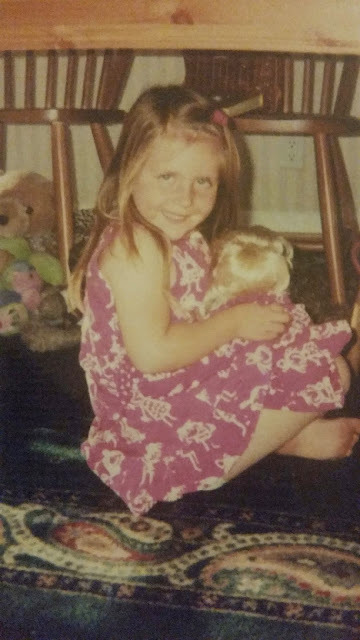 Lauren was my daughter’s first ever friend. ... My two daughters made play dates, shared holidays and vacations [with Lauren]. [It was like?] having a new family away from home. Sarah asked my opinion ... to get in touch with Mr. Brown. I was Mr. Brown’s champion. Without hesitation, I encouraged her to do so. This cuts deep and torments me every day. I listened to the frantic details through the summer of 2000. I listened to the terror in her voice. [I told her] ... these lies will be proven, I promise you. It was hard to see Sarah face this uphill challenge. [That was?] one day that was etched permanently in my mind. I didn’t know what I was listening to. I was shaken up ... uncontrollable ... and my legs buckled. My husband caught me as I was falling. My daughter witnessed me shaking uncontrollably, trying not to vomit. I relive that day in my head daily. I’ve been by Sarah throughout this whole ... even the whole time ... helping her to prepare ... the whole step. I put my family on hold for three long trials ... even my work, so I could be there for Sarah and Lauren. It’s fair to say it took a tremendous toll on my own family. The guilt I will carry is tremendous, for Sarah to contact Mr. Brown ... as Mr. Brown maliciously tied her hands. I tried to shield Sarah, ... to this day, that my two daughter’s call on Sarah and share in her grief. ... Seeing her through these excruciating hearings. Having to see her battle for cancer through the first trial. ... Lauren touched so many people through all these years. Not only did he take my daughter’s first best friend, there’s always a huge void. There always will be. ... I hang onto the times we had with Lauren. [I recently] dropped my own daughter off at college, and we won’t get to experience that with Lauren. Annette states she hopes that Brown will take responsibility. After reading the letters, DDA Hum speaks to the court. I never knew Lauren. My descriptions of her would never be as vivid. I do want to thank Detective Leslie for his devotion to this case. For never giving up on this case. It would have been easy for him and his partner to have accepted the defendants story and write this off as an accident and gone home. They never did that. Detective Leslie devoted a good portion of his life ... investigating people and ensuring that justice would have been done for Lauren. DDA Hum thanks the court and the court staff. He thanks Sarah and her family for their kind words, then turns to address them. I can’t imagine what you’ve been through for the past 15 years, but you bore it with strength and dignity and never lost faith that someday this moment would come. DDA Hum turns and looks at the defendant when he speaks next. But there are some crimes that are so horrendous, that are so senseless, that they just boggle the mind and make you question your humanity. Hum raises his voice. He’s almost yelling. “She was four years old!” DDA Hum appears to break up emotionally. Lauren would be 19 now. She never hurt or done anything to anybody and never experienced what it would be like to grow up. And justice will never bring back this four year old girl. Justice will never bring back this 19 year old woman. After 15 long years, it’s time for justice to be served. Judge Lomeli indicates he received letters from Lynne Brown and Robert Brown. Judge Lomeli states, “I did read those and considered those.” He does not read these letters into the record. Judge Lomeli asks, “Anything to add Mr. Laub?” [Nothing to add.] Counsel waives time for sentencing. After that, Judge Lomeli asks Mr. Laub about Brown’s credits [for his time in LA County Men’s Central]. 4,338 days. The court states again the court is in recess. DDA Hum and Detective Leslie shake hands. I did not see it, but during the victim impact statements, the media cameras caught Detective Leslie with tears on his face. Brown gets up and he’s taken back into custody. I note that the defendant and his counsel both stared straight ahead during the entire sentencing and not once looked at the individuals who gave their victim impact statements. It wasn’t until the reading of the defendant’s credits that his wife, Patty Brown finally arrives at court. I see her try to hand a paper to Mr. Laub, possibly a statement. I'm not certain. I don’t hear Mr. Laub’s answer but I hear Patty Brown reply, “Outrageous.” I don't know what Patty expected since she was quite late to her husband's sentencing. It was near the courtroom doors, or just outside in the hallway, I don’t remember, when Patty Brown’s brother, Ted Kaldis approached me. Kaldis says to me, “I would hope that you would write about something other than my wardrobe.” I’m surprised this is what Ted feels is important to say to me. Out in the hallway, it’s full of media and family. Everyone is lingering. Ted has a plastic bag and he is pulling out homemade CD’s and handing them to the reporters. He asks me if I want one. As Ted speaks to the reporters in the hallway, Patty and Mr. Laub chat. CBS reporter Randy Paige approaches Ted to talk to him. Ted asks Paige if he is “local or national.” I hear Ted talking about Sarah to the media. He says something to the effect that, the Sarah they were presented, is not the person she really is. I don’t have his exact words since I had put my notepad away at that point. DDA Hum intervenes. In a loud, angry voice, Hum proclaims, “You don’t have to listen to this crap!” DDA Hum then tells Ted Kaldis and Patty in a forceful tone to “Back off! ... Step aside!” Sarah quickly leaves the hallway for the safety of the women’s restroom. Several support staff from the DA’s office follow Sarah into the restroom to help console her. Patty and Ted are still on the floor, and Sarah and her family would have to walk past them to get to the elevators. DDA Hum offers to Sarah’s family to have the bailiff get them off the floor through a private elevator. Sarah and her family go back to the end of the hallway and enter a courtroom to take a private elevator to the 12th floor, where the media is set up for a press conference. I attended the press conference and audio taped it. As soon as I get that audio up on the web, I’ll publish the link. T&T started covering the Brown case in 2008, after the first Phil Spector trial ended in a hung jury. I reported on pretrial hearings and most of the second trial until I came down with a serious flu. During the second trial, I visited Abalone Cove, as well as Inspiration and Portuguese Points. I took photos of the cliffs and shot video. To say this case haunted me is an understatement. I never knew Lauren, but I had a strong desire to know what really happened to her, and report on her case. Thanks to Mr. Sprocket, I'm grateful that I was able to attend many of the pretrial hearings and report on every day of the third trial. Sadly, Mr. Sprocket and I had a personal loss In the middle of the trial. Our 10 month old kitten, Rudy Rocket, was diagnosed with FIP, a deadly illness. He was a total joy and a daily entertainer. Rudy Rocket was Mr. Sprocket's favorite fur child who followed him all over the house. We said goodbye on April 25, and tried to grieve while I continued to report on the trial. I will never forget Lauren. 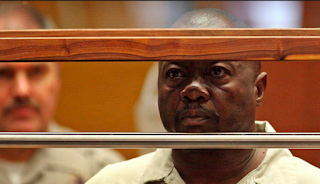 I will continue to report on when Brown is transferred out of LA County and into the custody of CDCR, as well as what happens with his appeal. T&T has just learned that at the last Gargiulo hearing on September 14, defendant Gargiulo raised another Marsden motion. From that Marsden hearing, defense attorney Charles Lindner is off the case. Gargiulo finally got what he wanted, and that was a new attorney. Defense attorney Dale Rubin, who was to handle the penalty phase is still assigned. It will take some time for a new counsel to get up to speed with over 30,000 pages of discovery. It should be noted there is no limit as to the number of Marsden hearings a defendant can raise. The next pretrial hearing is November 5, 2015. As I hear more information, I will update T&T readers. November 5, pretrial hearing notes can be found HERE. Lauren Sarene Key, playing house under the dining table. 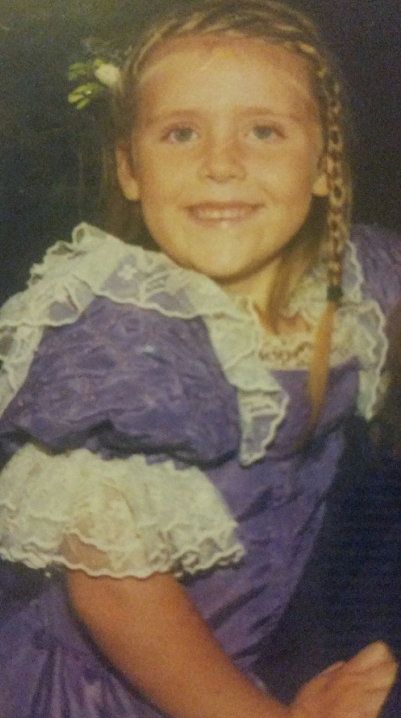 Lauren was murdered by her biological father 11/8/2000. On May 13 of this year, a jury found Cameron John Brown guilty of first degree murder in the cliff death of his four-year-old daughter, Lauren Sarene Key. The jury also found true the special circumstances of lying in wait and murder for financial gain. The prosecution argued that Brown hated Lauren's mother, Sarah Key-Marer, and killed his daughter to avoid paying over $1,000 a month in child support. At trial, Brown's defense claimed Lauren slipped and fell off the 120 ft cliff. Brown was arrested three years after Lauren's death. Because of the special circumstances allegations, Brown was denied bail and remained in LA County Sheriff's custody ever since. Almost fifteen years after Lauren's death and three trials, Brown will be sentenced today by Judge Lomeli in Dept. 107. The sentencing hearing is basically a formality since the sentence, life without the possibility of parole, is written into California's sentencing laws. T&T started covering the Brown case in May 2008, attending most of the second trial and all of the third. I will try to have a report up on the sentencing later tonight. In the afternoon, there is another pretrial hearing in the Lonnie Franklin, Jr. case. I hope to have my notes up on the Franklin September 14 hearing, and today's hearing, over the weekend. On September 14, DDA Beth Silverman informed the court they would be filing a 1050 [motion to continue] based on the large amount of discovery the defense turned over, just one month before the scheduled start of the trial on October 14. 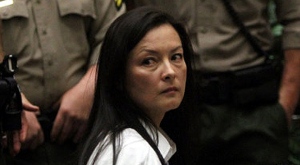 Kelly Soo Park, during opening statements of her murder trial. Park was acquitted of murdering Juliana Redding on 6/4/13. Los Angeles Superior Court Judge James R. Brandlin ordered Kelly Park, 49, to remain jailed in lieu of $18.5 million bail while awaiting a hearing Sept. 25. Deputy District Attorney Dayan Mathai told Brandlin that the District Attorney’s Office objected to attorney and former prosecutor Alan Jackson — who had handled the District Attorney’s murder case against Park for a time — representing one of the defendants. The judge said that matter can be dealt with by Kennedy at the hearing next week. The LA County District Attorney announced 15 individuals were indicted on a 150 million insurance fraud and patient scam conspiracy. Kelly Soo Park, who was acquitted in a 2013 trial of murdering aspiring actress Juliana Redding is one of the fifteen individuals arrested along with Dr. Munir Uwaydah, Park's former employer. The DA's Office press release indicated Uwaydah was arrested in Germany. 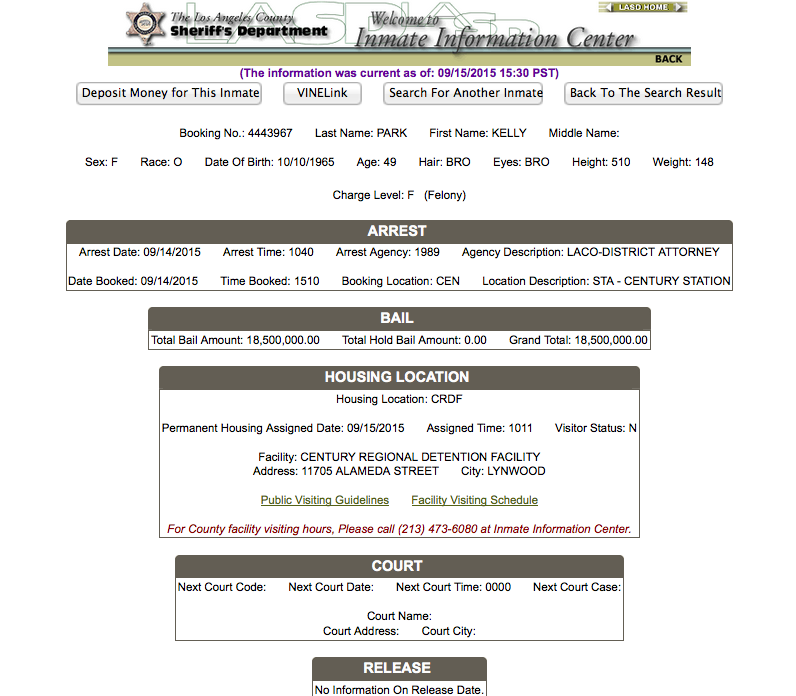 The LA County Sheriff's Inmate Locator website indicates Park was arrested yesterday around 10:40am and is currently at the Central Regional Detention Facility in Lynwood, California. Her bail amount is 18.5 million. Screenshot of LA County Sheriff's Inmate Locator Page on Park. There are two indictments filed by the LA County DA. BA425397 - Against Park, Uwaydah and nine other defendants. BA435339 - Against four other individuals. The Los Angeles Times as well as CBS 48 Hours Crimsider were the first to break stories on Park's arrest. Special thanks to T&T reader Mason for alerting me to Park's arrest on fraud charges. The previous post on his case can be found HERE. I decided to cover the Franklin hearing today, since this case is much closer to trial. If the Gargiulo hearing is still going on when I’m done, I’ll check in with Dept. 108. When I round the corner of the 9th floor to head to the ladies restroom, I see DDA Daniel Akemon leaning against a wall, yellow notepad in hand. His back is to me and I can tell he’s hard at work. When I leave the restroom, I decide it’s best not to disturb Dan and head towards the other end of the hallway to Dept. 109, where the Franklin hearing will be held. There are almost a couple dozen jurors on the floor. You would think that Dept. 108 (where the Gargiulo case is being heard) and Dept. 109 would be right beside each other, but they’re not. When you enter the center of the hallway from the elevator bay, the department numbers start at 101 in the far right corner and go all the way to Dept. 106 in the far left. Then Dept. 107 is across the hall from 106 and the numbers go back to the right. That means Department’s 101, 102, 109 and 110 are together on the right wing. Department’s 103 and 104 are in the center of the hallway, and department’s 105 through 108 are at the end of the left wing. Marguerite Rizzo arrives. Her dark blue dress catches my eye. It has a subdued black pattern, and then on the lower sides, two large black panels with gold scroll. It's a great dress. She made the look professional by adding a black suit jacket. I let her know the courtroom was opened a few moments ago and she heads inside. A detective heads this way and enters Dept. 109. It looks like Detective Small from the Gargiulo case, but I’m not certain. Most of the hallway benches are full of jurors and more continue to arrive. As I glance down the hallway, I think I see the back of DDA Garrett Dameron heading down to Department 108. Now the hallway is starting to bustle a bit. I’ve not seen Gargiulo's defense attorney Charles Lindner arrive yet. The Gargiulo hearing can’t start without him. Franklin’s defense team hasn’t arrived yet. Inside Dept. 109. Many conversations going on at once. As soon as I get my computer plugged in, Louisa Pentsani arrives. DDA Rizzo is chatting with the people seated the gallery, second row. Detective Small and the bailiff are chatting in the well. A male attorney and the court reporter are chatting and exchanging cards. The male attorney leaves. Judge Kennedy is at her clerk’s desk in conversation with a court employee. The conversations have settled down a bit, then defense attorney Seymour Amster arrives. He sits beside Louisa in the well. Detective Small leaves and I’m betting, heads down to Dept.108. Terri Keith from City News arrives. It’s always great to see Terri, who does the work of two and a half people. Beth Silverman arrives with two clerks. She’s wearing black and white, horizontal striped jacket with tan lapels, matched with a black skirt and black and tan pumps. Franklin is brought out. Orange jumpsuit, and a white, short-sleeved shirt on underneath. Silverman is at the clerks counter, getting motions filed with the court. The defense is seated at the defense table. The court reporter takes her seat. When Silverman is done, she hands copies of the motions to the defense. Judge Kennedy takes the bench and asks the parties to state appearances. Ms. Silverman filed several documents a few moments ago. The court then describes the three motions that were filed. Supplemental notice regarding penalty phase; another request for discovery. DDA Silverman explains the people still have not received any of the foundational documents for any of the reports from the defense expert witnesses. Amster responds that what ever is convent for the defendant to be interviewed is fine for the defense. Amster outlines Dr. Fuente’s (sp?) communication with him and the back up documentation. The doctor’s position was, the defense needed a protective order, or he would release [the information directly] to the people’s psychologist. Amster continues, “What he stated was, a protective order under HIPAA or release it to the people’s psychiatrist." The defense is asking if their psychiatrist can send the material to their [the people’s] designated psychiatrist. DDA Silverman responds, “The people have to have access to it." Amster is in agreement wit the court. He adds, “I’m trying to resolve it. This is the first time I’ve ever dealt with a psychiatrist doing this." Judge Kennedy presses the defense as to when they could accomplish this. Amster tells the court either today or tomorrow. The court tells Amster they are to email it to [the court? and?] the prosecution and it will be released. Amster asks the court for the appropriate contact information. For the next minute, there are sharp exchanges, back and forth between DDA Sliverman and Amster, as to what the defense has turned over and what they have not. Judge Kennedy tells the defense, “Alleviate the protective order and get things to where they need to go." 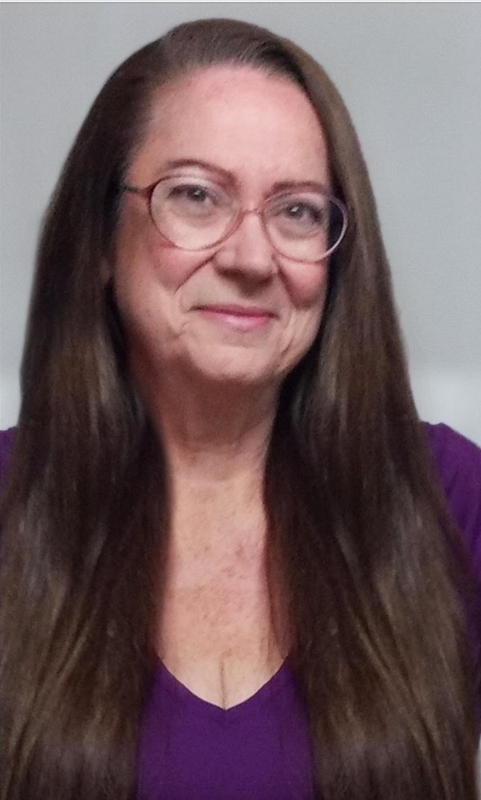 DDA Silverman adds, “I sent over that I needed a typewritten electronic list, so it could be pasted into a jury questionnaire.” Beth adds, that if she doesn’t get it in a timely fashion, then the defense will be the one to add their witness names to over 250 copies of the jury questionnaire. Amster answers that someone from his office will handle that. And this same theme is repeated for several other defense witnesses. Amster responds, “Mr. Beckner is not being called and is off the list. ...With the exception of [? ], they were instructed to turn over all notes." Amster tells the court that his reply brief will not be ready until September 14. He’s not sure if he will have it ready prior to Sunday. He asks that in this situation, if he could utilize the court’s email. DDA Silverman responds that they will not be ready to litigate the issue on Monday. [They would need time to read the defense response.] The court states that’s fine. The court clerk will send it to Judge Kennedy. The court tells Amster they also need to email their motion to the people. Amster adds, “Our position is, things might come out in trial, and so we believe there’s going to be rulings ... something comes out in trial, ... we can’t present it in trial if ... [miss the rest of his statement]. Judge Kenned asks, “Have we gone as far as we can go today?” Amster tells the court, “Yes. I’m trying to clear my calendar beyond October 14, I have very little to do.” Then Amster tells the court he has a problem, possible conflict on Sept 14. “I have a prelim hearing on Sept. 14. I would appreciate priority.” The court responds, “... The problem is, that not everyone is [always] here.” Amster tells the court that he would like to be in Lancaster before 1:30pm. And that’s it. Next date is Monday, October 14. Outside in the hallway, DDA Silverman explains to the victim’s family members, some of the preparation she and her co-counsel have been doing with their expert witnesses. One of the victim’s family members asks about attending the jury selection process. DDA Silverman, with great detail and patience, explains every aspect of voir dire and what will be involved in selecting a death qualified jury. The courtroom will be packed with many jurors. The court is not likely to reserve seats for the family members during voir dire. She mentions the films that were produced, how they were slanted and how that will affect the jury selection process. Beth details the jury questionnaire that it is 30 pages long. That’s even before adding the 142 names the defense turned over last month. I agree that voir dire is a boring process for most people, but to me it's very interesting, and I consider myself fortunate for those times where I was able to get the single press seat allowed. DDA Silverman confirms what I've heard many times, that jury selection is the most important part of the trial. DDA Silverman also tells the family members that this is the time that defense investigators and people from the media will be knocking on their doors, wanting to talk to them. She mentions the name of one family member, where the media showed up at her door, wanting to do an interview. I will add a note here. T&T has had a long standing policy not to get involved with defendants or interview potential witnesses while a trial is in progress. And that’s it. I head back to the metro train station. Although the defendant has two attorneys, only one is assigned to the guilt phase and the other to the penalty phase. They will have different parts of the trial that they will be responsible for. Because of the number of victims, this would be a difficult case for a seasoned team of several defense attorneys, but Franklin only has one attorney representing him for the guilt phase, and that’s Amster. I don't know if Amster or his co-counsel were able or even tried to petition the court for additional staff to prepare because of the the number of victims and the amount of physical evidence. It’s five years out from Franklin's arrest, the trial is scheduled to start in a month and the prosecution is still waiting on defense discovery. It's possible the trial could be delayed again, depending on what the prosecution receives on September 14, or the results of the 402 hearings. Because of the evidence delays and the potential for many 402 hearings, it's possible the trial may take four months to complete. Lonnie Franklin, Jr., in custody. Pool photo. I’m on the 9th floor of the downtown Los Angeles Criminal Justice Center. Besides the cafeteria, it’s the floor that I’ve spent the most time on down here. I haven’t been to court in well over a month. I’m waiting for Dept. 109 to open. I’m sorry I missed the last two hearings in the Lonnie Franklin, Jr. case. Fortunately, I’m almost completely over my lung congestion. When I arrived, DDA Garrett Dameron was at the end of the hallway with a defense attorney. Both are waiting for Dept. 101, Judge Coen's courtroom to open. There is also a hearing in the Albert Harutyunyan (aka Alberd Tersargynan) case in Dept. 109. Harutyunyan is charged with four counts of murder. I believe the DA’s office is seeking the death penalty in this case. DDA Daniel Akemon is prosecuting. Harutyunyan is on his second set of lawyers. I don’t know which hearing will be first. DDA Akemon is here and my eyes are drawn to his shimmering, baby blue tie. With him are two LAPD homicide detectives, Greg Stearns, who worked on the Lazarus case, and Daniel Myers. Myers worked the Ka Pasasouk case and also testified in the Lazarus case. They go off to towards the other end of the hall to chat privately. DDA Marguerite Rizzo arrives. She's wearing a sharp red jacket with a camel toned skirt. I've always been envious of Marguerite's trim figure. She takes a seat on a bench alongside her investigating officer, Daryn Dupree. People Magazine investigative reporter Christine Pelisek arrives. There is a video cameraman here, but he's waiting for Dept. 101's current case in trial, the Tobias Dustin Summer case. I believe the victim will testify but since they are underage, no camera can record their image on the stand. Harutyunyan's defense team, Pete Waimrin and Gregory Apt arrive. DDA Akemon greets them and now they go off to chat privately. Dept. 109 opens and a few of the victim's relatives in the Franklin case head inside. After a little while, I head inside also. Inside Dept. 109. DDA Akemon is at the counsel table. Defense attorney Louisa Pentsanti arrives. She's wearing a white jacket over a form fitting black dress. In the Franklin case, the victim’s families start to enter the courtroom and greet the few people already here. Harutyunyan’s defense team goes back to the custody area to speak to their client. DDA Rizzo greets the victim’s families who are already here. From the back row of the courtroom I briefly see Judge Kennedy pass by the open doorway. She’s wearing a black and gray print jacket. She comes out to greet her bailiff. She’s asking the bailiff about a court clerk and a court reporter. Both desks are empty. They chat at the clerks counter for a bit. Detective’s Stearns & Myers are in the gallery, first row behind the bailiff’s cubicle. Defense attorney Seymour Amster arrives. I wonder where DDA Beth Silverman is. Amster and DDA Akemon chat at the counsel table. The friendly court clerk from Judge Perry’s court comes in to sit in for the missing court clerk. I adore Judge Perry’s clerk. She was so nice to everyone in the media during the Lazarus trial. A few years ago, I got to have a nice chat with her while waiting for my friend Matthew. A court reporter I remember from the first Spector trial is sitting in for the missing court reporter. Amster and DDA Rizzo appear to have a friendly chat about (I believe) some documents the prosecution is requesting. It looks like the Harutyunyan case will go first. There is an Armenian interpreter for the defendant. DDA Silverman arrives. She's wearing a black skirt and matching short sleeved suit jacket. I glance down to her feet. I can't wear heels, ever since I broke my left ankle in four places, but I always notice Silverman's shoes, since she has a great collection. On Beth's feet are black patent-leather, open toed high-heels with black bows. She stops to greet the victim’s families and ask how everyone is doing. Harutyunyan is brought out. He’s a small, diminutive man with a gray and white beard. The court goes on the record in the Harutyunyan case. Defense attorneys Greg Apt and Pete Waimwrin from the Alternate Public Defender’s Office for the defendant. We learn that the defendant wants a Marsden hearing. This is at least the second Marsden hearing for Harutyunyan. Judge Kennedy clears the courtroom. It’s like, Michael Gargiulo deja vous all over again. Everyone piles out into the hallway. DDA Akemon and his detectives, and everyone related to the Franklin case. I find an empty bench seat and observe the little groups that form together. Prosecution teams and their detectives, the Franklin defense team, support staff with the District Attorney’s Office and then the victim’s family members, who have come to know each other from attending the pretrial hearings. Interspersed among all these groups are a few jurors on benches waiting to be called to their courtrooms. Seymour Amster is wandering the hallway looking at his cell phone, then comes back over to his team, who are standing to my right. The jurors for Dept. 101 are called and the little groups seem to huddle closer. There are late arrivals for the Franklin case. They greet other family members already here. An older gentleman who was standing with the Franklin defense team walks over to where DDA Silverman is sitting and hands her a document. DDA Silverman signs for the document. Beth and Marguerite go over the document in detail. The Marsden hearing is over and I’m back inside Dept. 109. Judge Kennedy is on the bench and making a ruling in the Marsden case. The hearing, which was transcribed by the court reporter, would be put under seal and not to be disclosed. Judge Kennedy asks the parties about coming back for another hearing in about a month. The next court date in this case will be October 2, and the case calendar will be set at zero of 90. DDA Akemon documents the pages of discovery that are turned over, and that’s it for this case. Defense attorney Apt asks about the document. Judge Kennedy states, “I don’t have anything to sign yet. ... I need you to prepare something.” Mr. Waimrim goes over to the clerk’s desk along with DDA Akemon. The Armenian interpreter leaves. We are waiting for things to start for Franklin. The clerk is busy at her desk with Akemon and the two defense attorneys. Judge Kennedy is waiting on the bench. I think the collection of figurines on Judge Kennedy's bench appears to have gotten bigger since last year. The abstract painting that looks like several "V" lines is still hanging on the wall behind her bench. The Franklin case is finally called. The court asks the people if they acknowledge what the defense has turned over. The people go over with the court, the document that was given to them earlier in the hallway. They document with the court, how what they’ve received is incomplete. There are several experts, where they still have not received anything at all. I don’t get all the names that the people mention, of the potential defense expert witnesses, where the people have not received the reports. which we are entitled to ... Same is true for Mr. Krout (sp?). ... received [Metallurgical?] effects expert and we received a, .. I’d like to say it’s a one line, hand lined piece of paper that constitutes a report fro Mr. Munos." The second page and what it entails is discussed. Amster interrupts again. “That report is about the rebuttal. The second page is the summary of the phone conversation and mine.” The have in substance, the same thing I have. Amster answers. "I believe at least one witness [?] these events under a drug, a controlled substance. We have to determine what she was under the influence of and how much. And then I bring in a drug expert to talk about it." The court clarifies. "So being under the influence of a specific drug and being able to recall?" Amster responds. "And she’s someone who had a habit of drugs"
DDA Sliverman asks. "Is there any reports, notes, in addition to this?" Amster responds. "I don’t think there’s anything in addition to this from Mr. Munos (sp?). ... I wanted to get the reports to the other side by August 31. ... The vast majority of these reports came in last night. This has not been the easiest situation , I wish it would be an easier situation with my experts." The court clarifies that what they are talking about are defense experts that may testify. Amster adds. "With exception of Mr. Reese. ... Ibelieve we sent the 911 report of Mr. Gibson [already]. I thought we delivered that." DDA Sliverman tells the court. "We’ve received no notes, [reports?] from any of these people." Amster replies. "One step at a time. The report from Mr. Gibson (sp? ), we gave. ... As far as the other experts at this point, we don’t ... [Mr. Paul, Mr. Jones, Mr. Reese Mr. Gibson?] at this point, we don’t anticipate [calling them]." Mr. Amster adds a bit more that I miss. DDA Silverman adds, “There are a number of civilians, over 100, what we received from counsel. ... [We] did not receive the specifics of conversations. ... [There's] the same type of summary for each and every witness.” Amster insists that they [have? don't have?] a witness statement from each and ever person. DDA Silverman, tells the court that they will have to build in extra time for this trial, to have 402’s for each of these witnesses. The court agrees, “We’re going to have many 402’s." DDA Sliverman asks about another witness, a Mr. Crawley (sp?). DDA Silverman also asks for the test results and raw data from the clinic neuro-psychologist. The court asks the defense if they will have that ready on the 14th as well. Then there is a bit of back and forth discussion about when to return and what will be decided on what date. Judge Kennedy finally rules that they will return on September 9 four outstanding defense discovery and also on September 14 for argument on the third party culpability motion. DDA Rizzo has an issue about a protective order for an individual [I’ve not included the name]. And that’s it September 9 it is. This will create a conflict with the Gargiulo case. I still haven't decided which hearing to go to. There is a reason why the court and the prosecution stated there would be many 402 hearings. Although the defense was supposed to turn over all their discovery by today, they have not done so. From what I gathered today, there may be witnesses the defense decides to call at the last minute, depending on what the prosecution experts say. If the defense did not turn over discovery with that witness before trial, and during the trial decide to call them during their case, then the prosecution has the right to have a hearing, outside the presence of the jury to question the witness. The court then decides if the witness can testify before the jury. The reason the court does not, at this time, bar these witnesses from testifying because the discovery was not turned over to the prosecution 30 days before trial, is the appellate court. It's pretty much guaranteed that a guilty verdict would be turned over on appeal if the court barred a witness because of a discovery violation. I remember a 402 hearing in this very courtroom two years ago. It was a last minute defense witness right before the start of the Kelly Soo Park trial. The hand written, defense investigator's interview notes (on yellow lined paper) of this witness were turned over to the prosecution on a Friday, when the trial was to start on Monday.